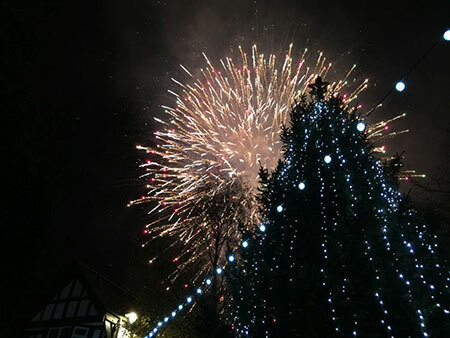 There will be festive fun at every turn on Saturday 24 November when Northwich hosts the 2018 Christmas Extravaganza. Organised by the Northwich Business Improvement District (BID) and Northwich Town Council (NTC), with support from Northwich Independent Retailers Association (NIRA) and Barons Quay, an action-packed line-up has been organised with events for the whole family. Attractions will run from 12pm-5pm across the whole town centre to bring a yuletide feel to the streets and get everyone in the Christmas spirit. Visitors can enjoy Christmas Markets and Street Food in Barons Quay and in Witton Street, marvel at Barnton Circus outside H&M and take the Christmas Express Train. There will be plenty of arts and crafts activities for people to take part in too, such as gingerbread decorating and balloon modelling, while Waitrose will play host to a food stall, school choir and performances from the Bostock Band. On top of this, the BID have partnered up with the Cheshire Down’s Syndrome Support Group to run the Christmas Bauble Trail. Comprising 12 businesses, entrants will have to find a letter in each retailer to discover the Christmas phrase and win a chocolatey prize. Following all of these wintry wonders, the Extravaganza will culminate with the eye-catching School Lantern Parade, before the Light Switch-On and Fireworks captivate the crowds from 5pm. To help people make the most of their festive day in town, the Visit Northwich website has its very own event hub which features a map of activities, list of timings and Christmas inspiration on days out, gift ideas and more. Northwich BID Manager Jane Hough is looking forward to Saturday 24 November and has urged people to attend and also pay a visit to some of the town’s businesses. “We’ve been planning the event for months and we’re all excited that the day is nearly here. Along with our partners, we have worked hard to deliver a range of activities for people of all ages and we’re pleased with what’s been organised. You should definitely come and check it out if you’re looking to get into the Christmas spirit. Northwich Town Clerk Chris Shaw believes 2018’s event is shaping up to be the best yet.